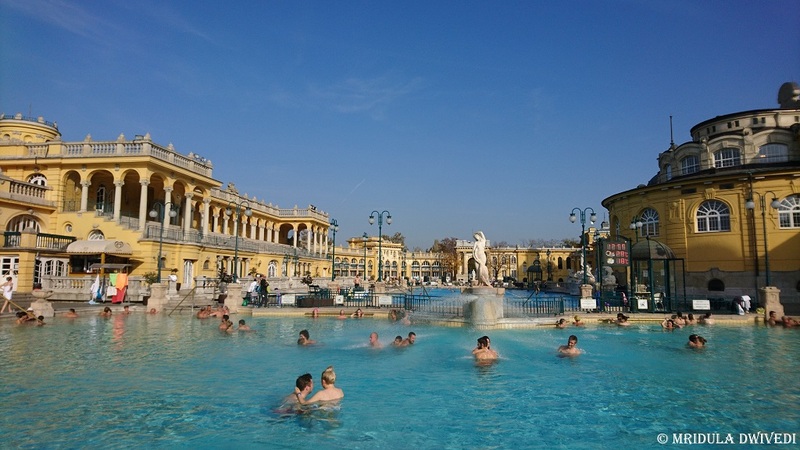 Széchenyi Thermal Bath is conveniently locate next to the Széchenyi Furdo Metro Station on M1 line. Get out of the station and walk into the reception, it is that close! As we went in November, we did not pre-book our tickets online. It was not crowded at all, at the reception. We could easily buy the tickets. You will have an option of buying a ticket with cabin, which is more expensive than the normal ticket. We bought the normal ticket that comes with a locker. They give you a wrist band which is to open and close the locker. Just wear it and move around, you can go into the water with it. The locker was enough to store our belongings, in fact we used only one locker between the two of us. The men and women changing rooms are separate. So, there was no problem in finding a corner to change after our shower in the women area at the end! In my opinion you don’t need the cabin. If the indoor pools are fun, outdoor pools are gorgeous! It is an amazing experience to enjoy the outdoor hot water pools on a cold day! The baths are equally popular with the locals and the older population. It is amazing to see women gossiping together in the middle of a pool! In the beginning the outlay of the bath may seem confusing. But you will figure it out eventually. You can keep walking from pool to pool indoors and at the end you will emerge to one side of the outdoor pools. Repeat the exercise to emerge at the other end of the outdoor pools! I strongly recommend that you read the FAQ section of the official website before going. You need to carry your own towels, swim wear, and pool slippers. If you don’t then you will end up renting some of it. And it will cost you money! We had swimwear and towels but not slippers. We did fine indoors, there were many others walking barefoot like us. But it was damn cold to walk barefoot outside. We did it, but do carry your poolside footwear, you will enjoy more. There is an outdoor lap pool too. You need to wear a cap to do the laps. But the two circular outdoor pools do not require any caps. If you plan to do laps, do carry your swimming cap! 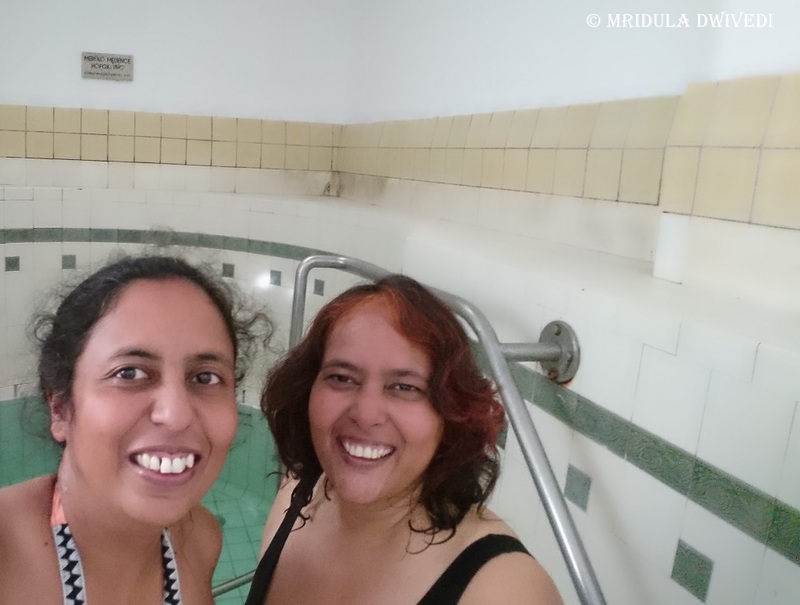 Some of the indoor pools are filled with cold water, like the one behind us. We only dipped our toe and decided it was not for us! So, do check the temperature before plunging in. 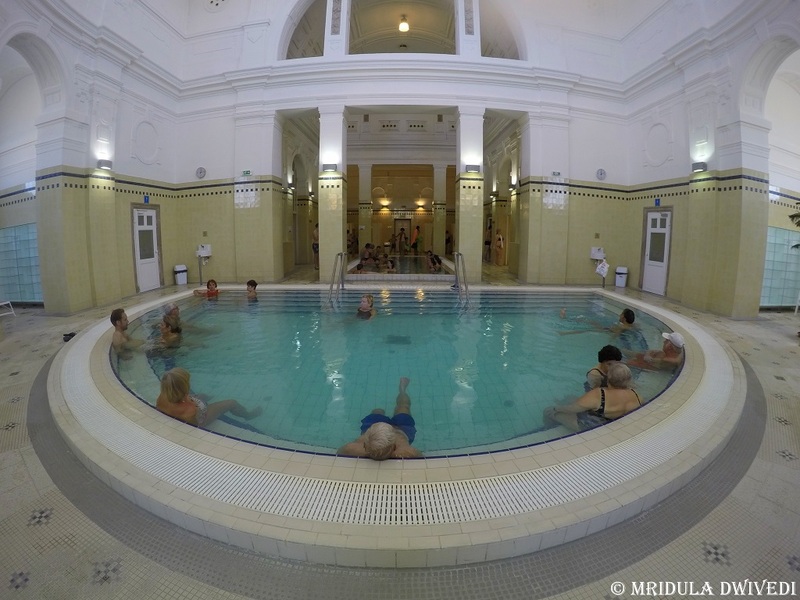 There is an indoor exercise pool too, where you can join in for free. Photography is allowed at the pools, do read the official take here. The only trick is that you have to watch out for your phone and GoPro. As there were two of us, we managed fine. There are signs telling you to keep your valuables in the locker. The management is not responsible for them. I did leave my DSLR in the hotel but I carried my phone and GoPro all around and I am glad I did. While it is fun outside, all the saunas are inside and they are insane fun too! There was one which had the scent of mint. It was my favorite. Some pools are open at night too. I read about night pool parties but we were content to enjoy it during the day! Chess and Beer in the Pool! Both of us were totally smitten by the idea of making such a grand pool available to common public. Of course there is an ticket, the cheapest a little more than 1.2K Indian rupees, which is not too expensive for such a grand place at all. And we loved it that the senior citizens came out in such numbers! It was fun to watch them play chess with beer! 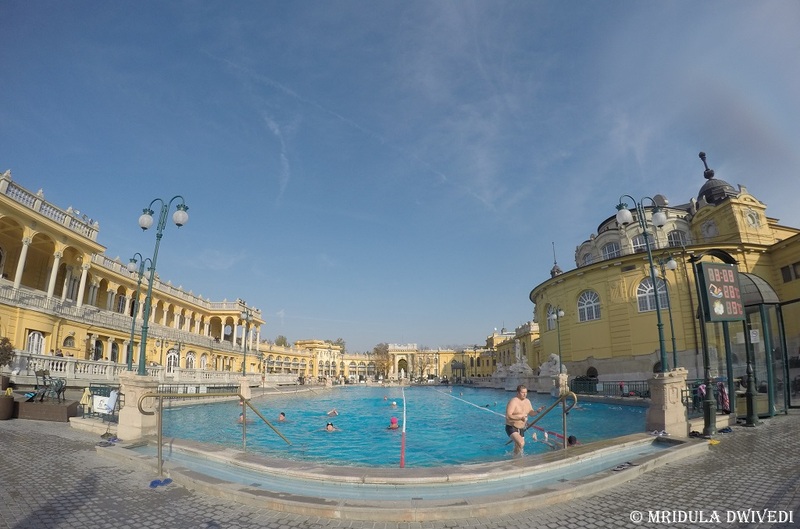 Here is a short video of the Szechenyi Baths. It features Alka in a few clips! We both had a gala time indeed. I am already looking forward to our next vacation together, though it will happen next year only! 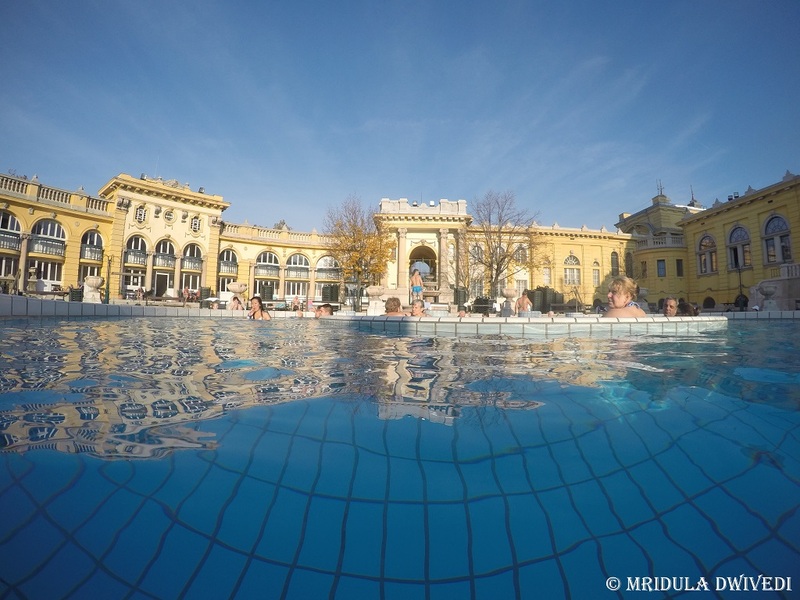 Szechenyi Baths are huge fun, it is a must on your Budapest itinerary. 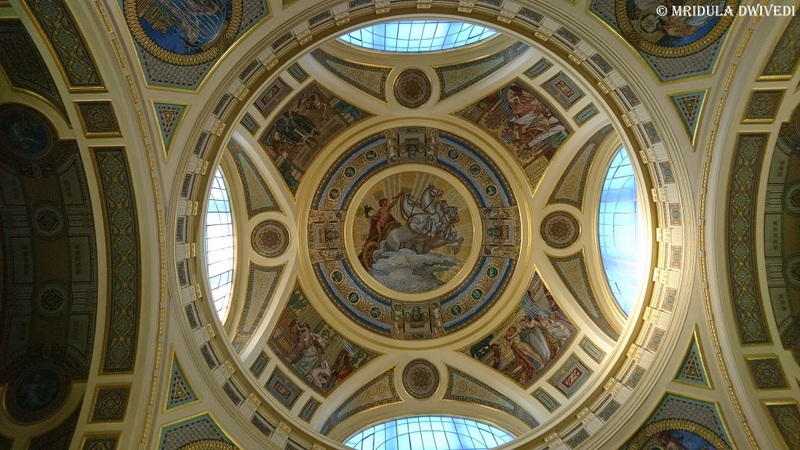 There are other baths in Budapest too, but it is a pity that we could not check out anything else. 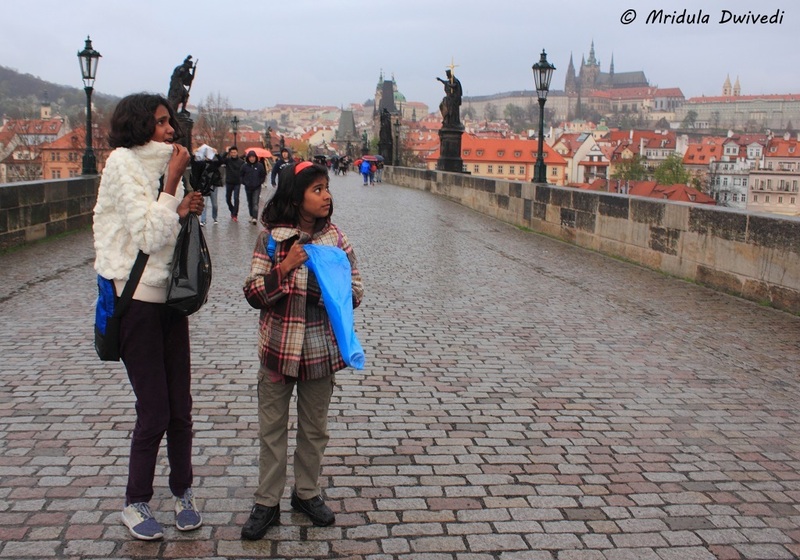 Prague was the second trip when I took my niece and daughter, Vasu and Chhavi abroad. Together they are known as double trouble. The first time we went to Hong Kong, it was in 2014. I was the only adult on both the trips! 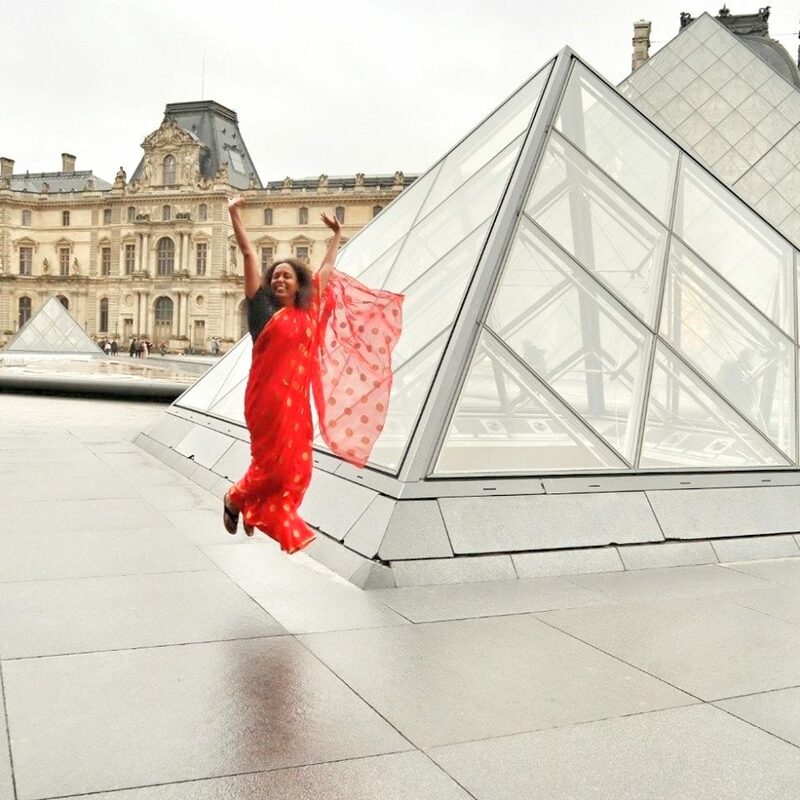 In 2015 the kids didn’t go abroad, I was too busy quitting my job. 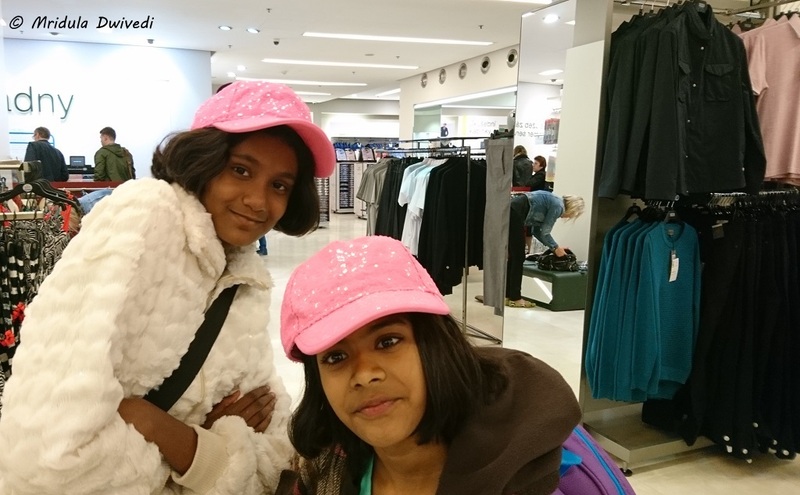 In 2016 Seshadri took Chhavi to USA and Vasu went to USA on a school trip. In 2017 it was my turn again. That is how double trouble and I ended up in Prague. Other than facing some trouble in getting the visa, we had a lovely trip! 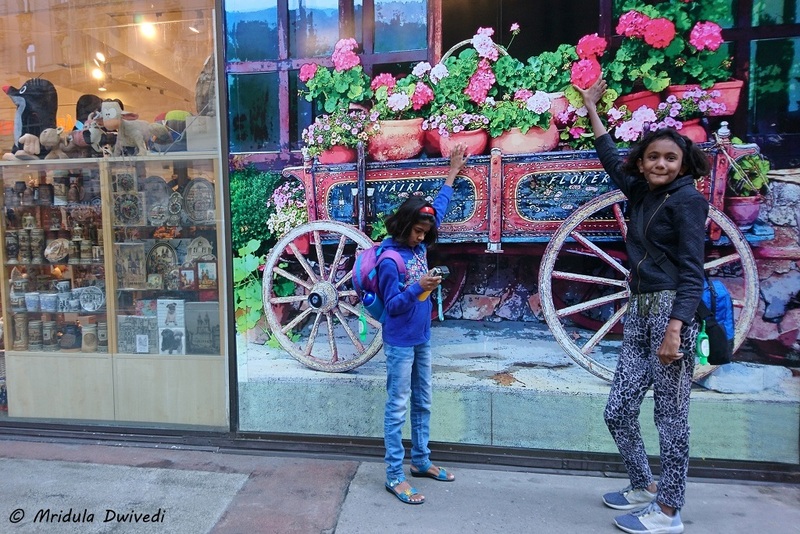 Traveling with kids is a lot of fun and at the same time so different from my usual blogging trips! And so much changes in 3 years with kids and yet so many things remain the same! When the Stomach is Full! The cardinal rule of traveling with children is to keep their stomachs full! When they were smaller, it was enough to keep them happy. I still need to observe this golden rule but it is no longer enough! The girls are getting more demanding. Let’s Think of Some New Mischief! I hate to waste food, and I hate it even more when I paid for it in a foreign currency. On the first dinner we ended up ordering more food than we could eat. But after that we never wasted food. I would order one of something they wanted with a promise to order more if they finished the first helping. They would give me a wounded look and then the three of us would struggle to finish it off! It happened without fail! They never asked for a second helping of anything! French fries I would order one each and they would finish it without any problem! The girls are growing up and they are getting into sulking mode, particularly the elder one! I end up saying no a lot of times! Like they were asking me, why don’t we fly business? And however much I explained, they would sulk! I told them they need to grow up and travel business on their own, I simply can’t afford it! On our last day a elderly Australian couple was sitting next to us on the breakfast table. We started chatting and they said at one point, “I hope the girls realize how lucky they are!” I sincerely hope for the same! Both the girls walk like champions! We would get outdoors right after breakfast and come back to the hotel only after dinner. We averaged 15K steps every day and yet they always had the energy for more. If there were stairs they would literally run away with me huffing and puffing behind them! 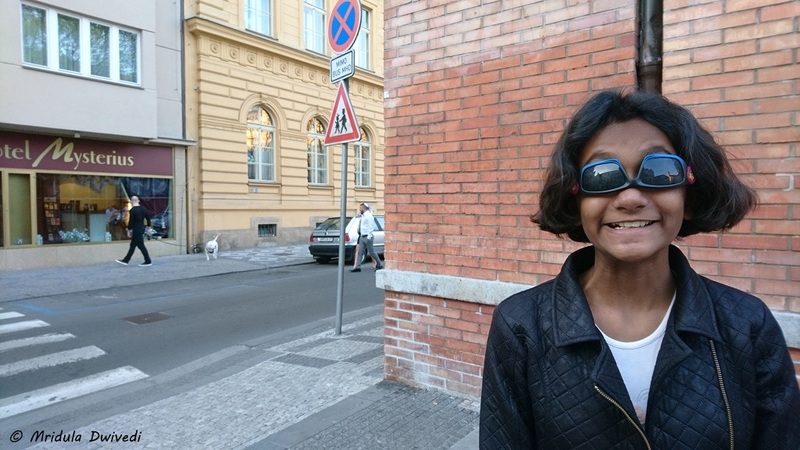 It is so much easier to travel with kids when they can walk and enjoy it too! I think running around in the parks was their favorite activity. 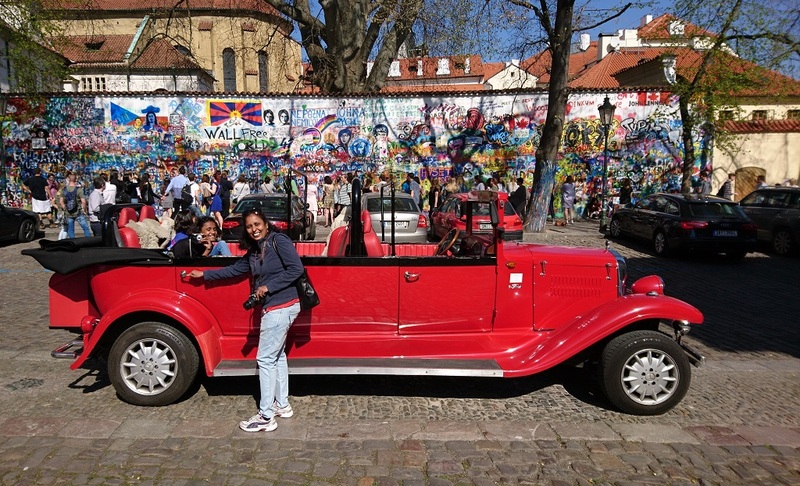 We went to two parks, Kampa which is an island right in the middle of the city and Lenta Park. 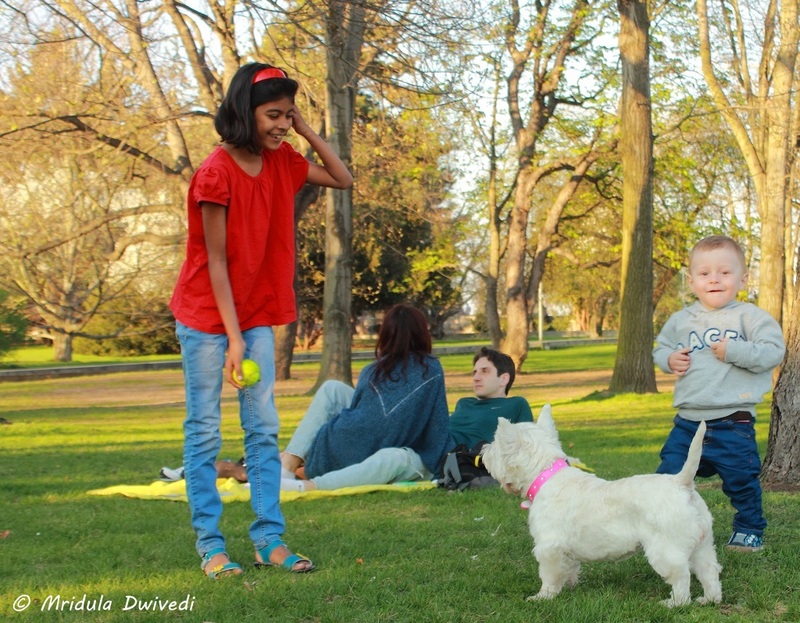 At Lenta, Chhavi had a gala time throwing ball to a dog cute dog. Vasu would collect pine cones. Lenta Park has a fabulous viewpoint of the bridges of the city! 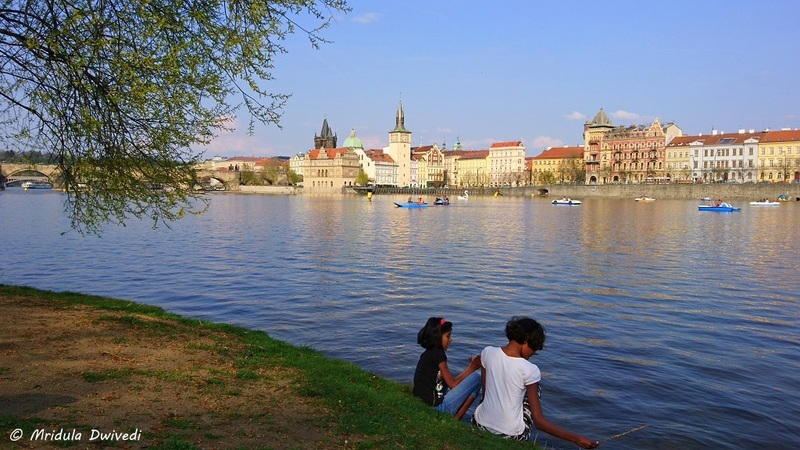 At Kampa we were literally by the edge of Vltava River. I am glad it was cold so the girls were content dipping just their hand and toes. They would demand to go to a park each evening. My nephew posted the Calvin and Hobbes cartoon on their park picture where Calvin looks at a blazing sunset and says “I’ll bet I am missing some great TV shows!” The girls behaved a bit like that too, my nephew was dead right. They Love Bath Tubs Even More! We stayed at the Astoria Hotel and our bathroom had a bath tub. I think that was the highlight for both the girls. 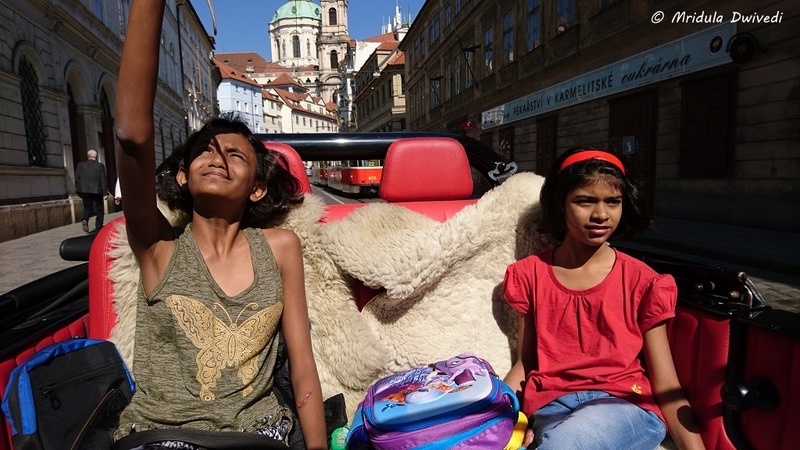 Vasu has stayed in rooms with bathtub earlier but she said she never got time to use them. I never had to ask them to take a bath, they would voluntarily get into the tub, my task was to get them out. For once, I kept my lecture about wasting water to myself. I assuaged my guilt by telling myself that we don’t have bathtubs at home so this is truly once in a blue moon behavior. They Want to Shop Now! The first thing that they paid any attention to in Prague was souvenirs! After a while I told them it would be their last trip with me if they do not take interest in anything else! I told them all the shopping would be done on the last day and they could buy one thing for them and one to carry back home for others! Of course they shopped much more, but this brought in some much needed sanity to our trip! After all it costs money to travel and I feel the pinch more after I left my job! In This Direction or That? Chhavi is really afraid that we would get lost in a new place! Given my sense of direction her fear is not too unfounded. So, one of the first tasks after landing was to find data for my mobile so that I could use Google Maps. And we did fine. Only on one occasion we took a tram in the opposite direction because the kids insisted that was the correct way to go. After two station I realized the mistake. And we took the tram in opposite direction and safely got down near our hotel after 4 stations! When we went to see the Astronomical clock, we took the long tram route, only to realize it was at a walking distance from our hotel. But given my sense of directions, these are truly minor incidents! Going Around the City in Style! We took an expensive car ride around the city because of the kids! 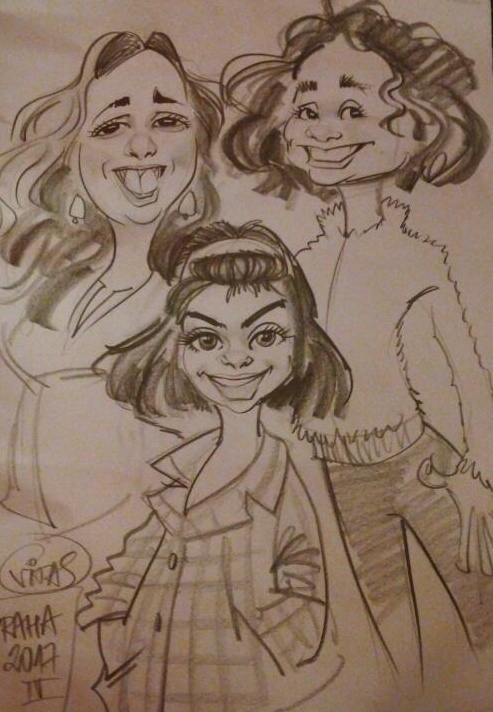 We got our caricature made because they insisted. All the Credit to the Artist and the Girls! I loved the caricature incident but I will surely pass on the car ride the next time. 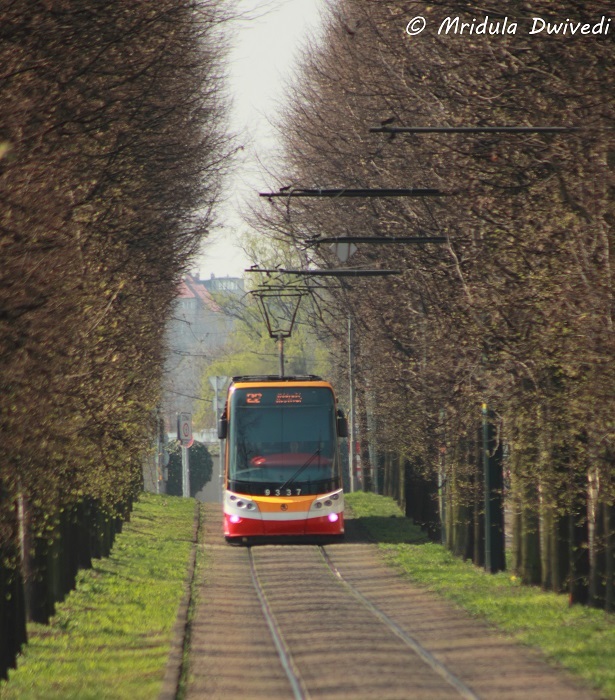 I would rather take the trams and walk, we enjoy much more that way. But the credit for the caricature entirely goes to the kids! So What if it Rained a Little! After a lot of sulking, some scolding and a lot of lectures I was not sure if they will want to go on another trip with me. But after a few hours of entering home they told me they are ready to go on another trip whenever I am ready! Looks like we did have some fun after all!